FANTASY FOOTBALL 2017 Do You Feel Lucky, Sheep? While Fantasy Experts out there make their Rankings and Projections, a lot of novice Experts decide to forgo the importance of the Offensive Line. Sure you will have Experts say Zeke Elliot is once again running behind a great offensive line, but a lot of them will not mention that they lost a Key Guard in Ronald Leary who now goes to the Broncos to form one of the best Guard Duos with Max Garcia. In fact I am going to go out on a limb and say a majority of Fantasy Experts do not even know all the offensive lineman in the NFL. If they do, they sure do not act like it. Last year everyone was high on Russell Wilson and Todd Gurley with little regard to both of their offensive line situation. 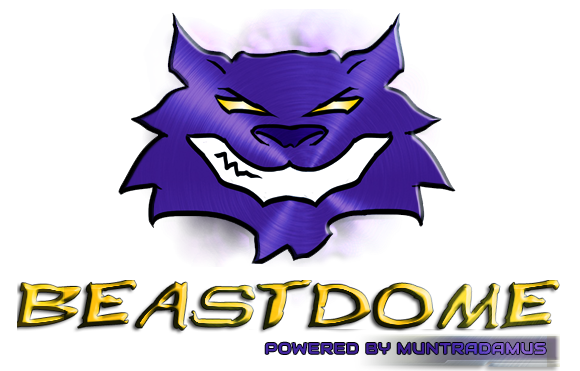 Not us here at BEAST DOME. We always stay one step ahead of the competition and ranked both players worst than every Expert by a landslide. Russell Wilson injured his foot Week 1, put up a career low 259 Rushing Yards with 1 TD on the ground. Todd Gurley..well you know how that turned out. This year a team that is going to really struggle with their Offensive Line is the Indianapolis Colts. Left Tackle Anthony Castonzo (B) is their vet. He has been blocking for the Colts since Peyton Manning was on the team and he still remains more than solid. So while it is good news that Andrew Luck and his Blindside will be protected for the most part. The rest of the line will have you worried. Left Guard Jack Mewhort (B-) the 2nd Round Pick from Ohio State has not done anything to impress in his young NFL career, but he has not done anything to make us doubt. Coming off of multiples injuries including one to his knee in 2016, it is hard to imagine him all of a sudden being a BEAST. Average+ is what we should expect. Center Ryan Kelly (B-) who was their 1st Round Pick last season definitely has a lot of grooming to do. Andrew Luck was constantly feeling pressure in 2016 up the middle, and it did not take Kelly long to realize that the NFL has different animals up the middle. Frank Gore only ran for 100+ Yards twice in 2016 with 4 TD. While the 1,000+ Rushing Yards was nice and no expert ranked him higher than myself last year as he was an absolute steal. This year we could start to see that digression that many experts predicted 1 year too early. Right Guard looks like Joe Haeg (C) is going to be the power protector. Haeg had little competition in college playing for small North Dakota State. His 2nd Year is not looking like a favorable one that had him way overmatched all of 2016. Right Tackle Le’Raven Clark (C) heads into his 2nd year and has not done much to impress us at all. A full NFL season is something Clark has not performed yet, and there is little reason to believe he is going to be a star. With such a young inexperienced Offensive Line, as well as not having any impact players. 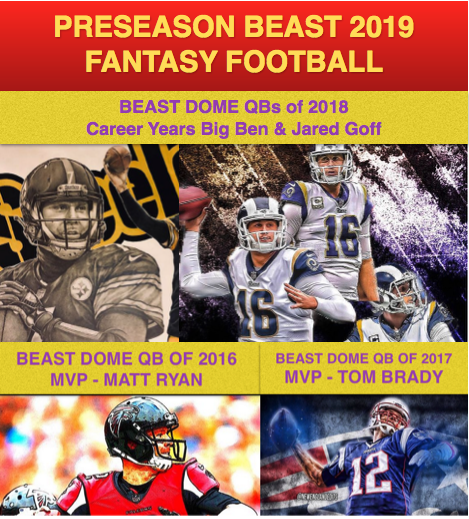 It is going to be hard to imagine Andrew Luck who has been shaking the injury bug for two straight years to return to his BEAST 2014 form where he threw for 40 TD and over 4700 Yards. Last season Andrew Luck did not throw for over 300 Yards from Week 8-Week 15. We can blame Donte Moncrief for being injured missing nearly half of the season, but the truth is Andrew Luck was getting roughed up week in and week out. Andrew Luck took more QB hits than any QB in the league. The offensive Line for the Colts gave up the 4th most Sacks in the NFL. After the 2016 season, Andrew Luck got bicep surgery on his throwing arm. While it is nice to believe and play pretend that Andrew Luck is a BEAST and should recover 100% with nothing to worry about in 2017. That is simply not the case with how Big and BEASTY Defensive Players are today. Why would you draft a QB who is coming into the season with a robotic arm and an offensive line that will be sure to let him take his hits again in 2017. In fact, only 3 Experts Rank Andrew Luck outside of the Top 5. Which is really absolutely crazy. In Baseball nobody drafts a pitcher high who is coming into the season with a bad pitching arm. For example, David Price was sitting late in all Drafts this year. He just came off the DL in Late May and currently sits with an ERA at 5.09. For those of you who do not know baseball, this is Waiver Wire worthy. Andrew Luck has a bad throwing arm, he has a bad offensive line. Why is Andrew Luck getting the Expert Love as an automatic Top 4 QB once again like his ECR has been for the past two years? 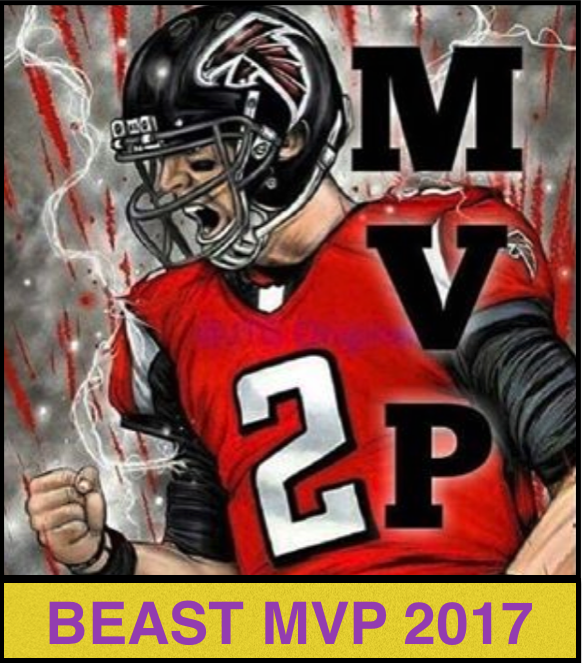 There is a reason why BEAST DOME is always ahead of the competition and why I ranked MVP Matt Ryan higher than every Expert in 2016. The big reason was the addition of Pro Bowl Center Alex Mack. Look what that did for Ryan and the entire Falcons offense. 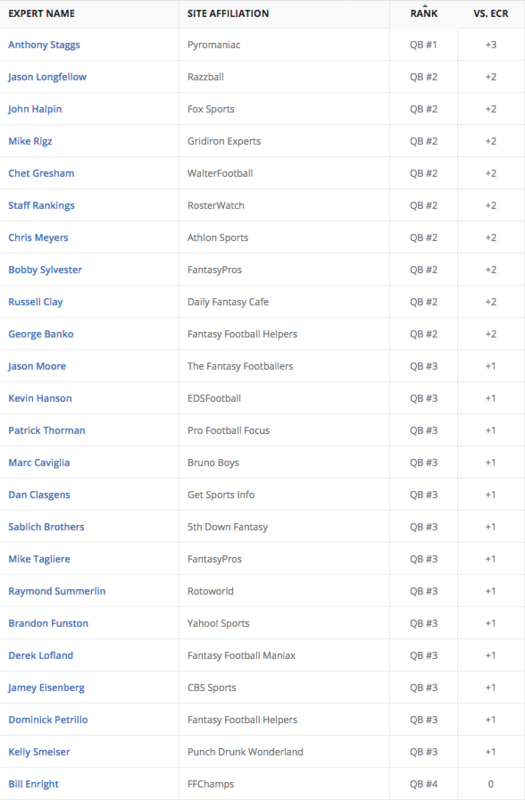 Experts last season had Matt Ryan at #17, I was the only Expert to Rank Matt Ryan in the Top 10 and I was +10 to the ECR last year at #7. Just wanted to say special thanks for the O-Line rankings, super helpful and never see that anywhere else. Loved how in depth they were and player by player analysis. Everything going to the next level in July with Draft Strategy. Once I see all the players in action with Preseason that is when the full official player grades come out for the O-Line. Going to be a BEAST season no doubt.